The absolute highlight is the Roman Amphitheater, which belongs to the UNESCO World Heritage. The fifth largest arena in the world was completed in the first century. 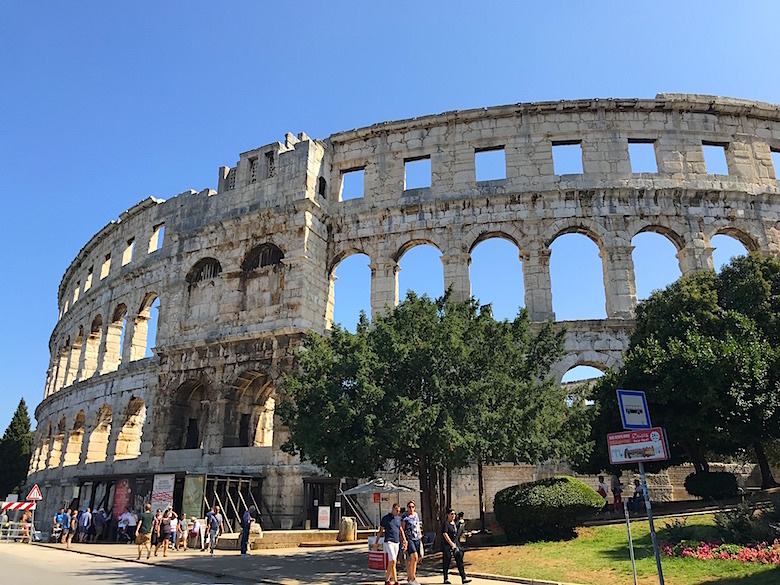 Once, up to 25,000 spectators flocked here to gladiatorial fights. In recent years, artists such as Sting, Luciano Pavarotti or Elton John entertained the visitors. 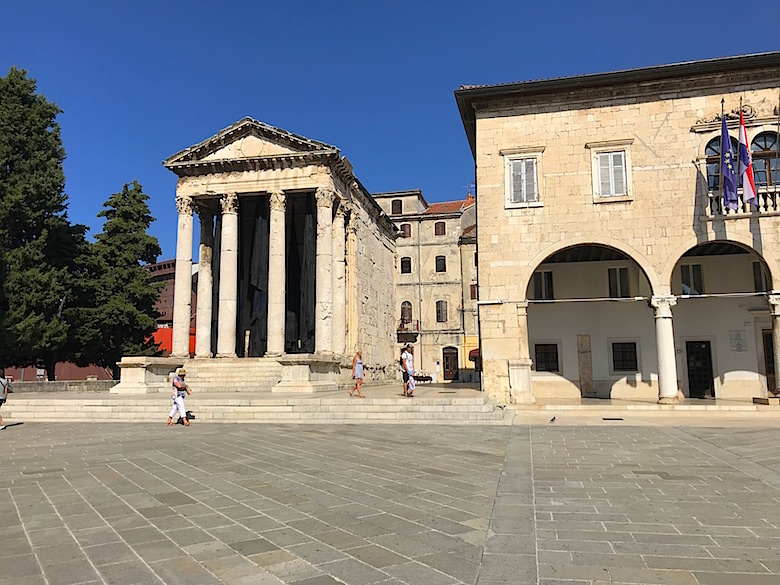 The Temple of Augustus in Pula is located at the Forum and was built in the 1st century AD in honor of Emperor Augustus and the Roman goddess Roma. The narrow and monumental building has a vestibule supported by six 8-meter-high pillars that are shaped in Corinthian style. After the temple lost its original function, it was used for different purposes. It served as a granary and in the 19th century it housed a museum of stone monuments. In the 1940s, the building was heavily destroyed and rebuilt in the following years. If you visit Pula, you should definitely stroll to the Art Nouveau market hall to visit the fresh market. The selection of fresh fish and other seafood, meat and poultry, fruits and vegetables is huge. Textiles, souvenirs and all sorts of trinkets can be found on the square in front of the hall. 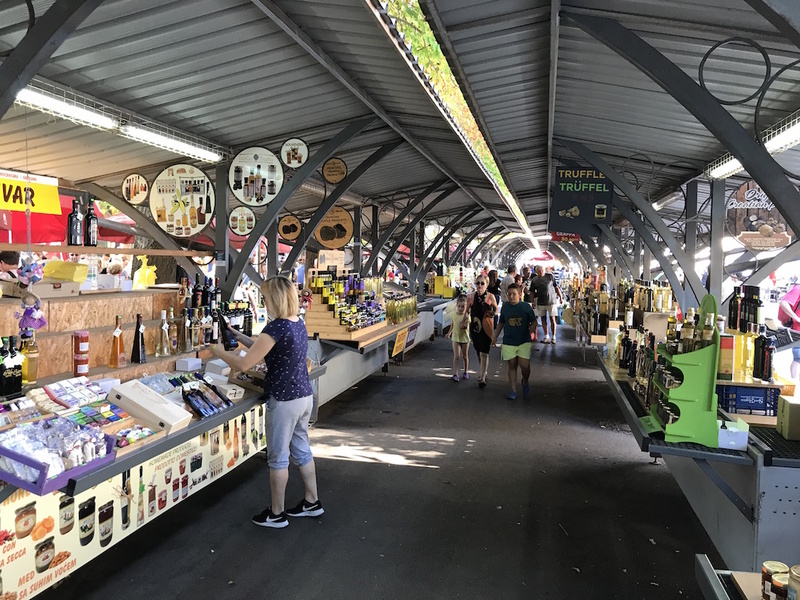 The largest market in Istria takes place daily from 7 o’clock in the morning. 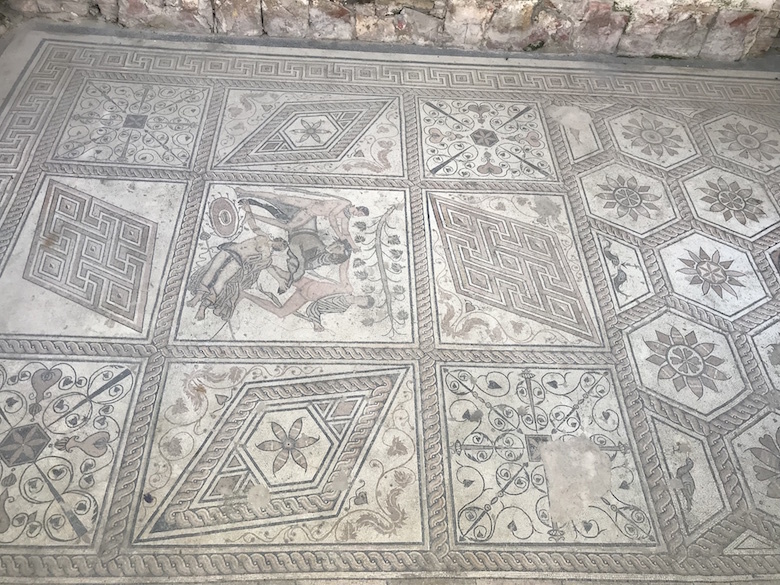 After the Second World War, when the ruins were cleared after bombing, a grandiose mosaic was uncovered with the mythological theme of “The Punishment of Dirce”. It was found near the Church of St. Maria Formosa at about two meters depth. The most interesting part of the mosaic is the left part. It depicts two young men holding a bull by the horns and a woman lying below. Below Pula, there is a whole underworld of tunnels that run through virtually all of Pula. 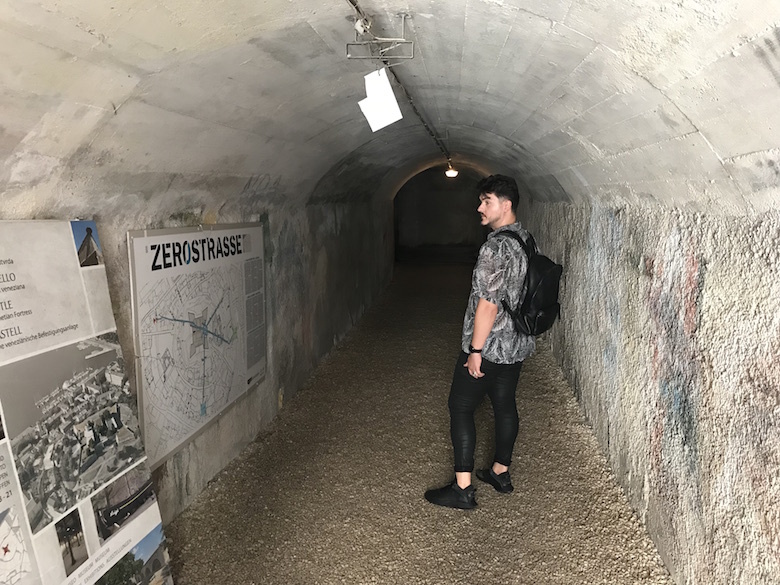 Today these tunnels are known as Zerostrasse. The underground tunnels were built in the First World War as an air-raid shelter for the residents in the event of an air raid on the city. The underground tunnel system consisted of shelters, ditches, galleries, passageways and ammunition storages. 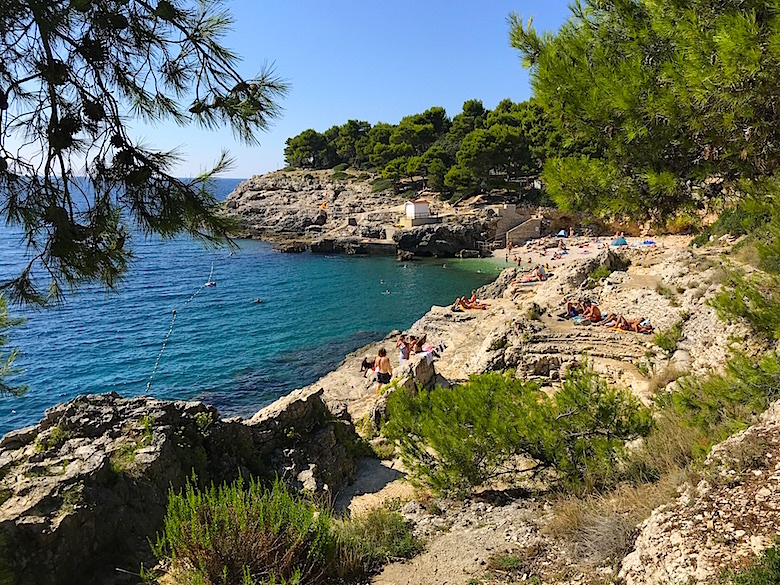 If you are looking for nice beaches you won’t find them in the city center of Pula. The best location to have a swim are the beaches of Verudela. It takes only around 20 minutes by bus (number 2a or 3a) to reach Verudela. The triumphal Arch of the Sergii was commissioned by Salvia Postuma Sergia, after the battle of Actium, in honor of her three brothers. The 8-meter-high arch was originally at the Porta Aurea city gate, which was demolished in the 19th century as part of urban restructuring. The special feature of the bow is that it is decorated on one side only, because of its former location. 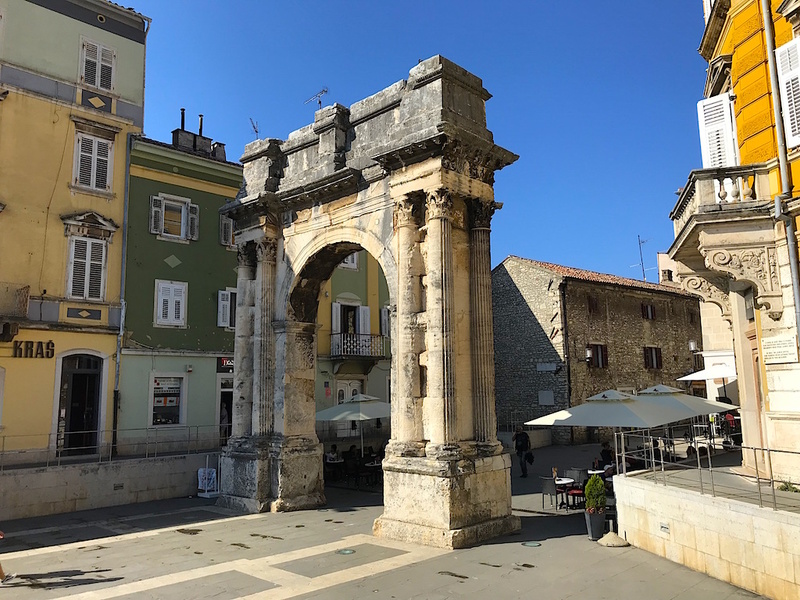 Today, the arch is at the center of the cultural and commercial life of Pula and rises monumentally out of the crowd.